Recently there have been an increasing number of security problems on the internet that could prevent you from finding websites. If you bookmark our site by it's IP address on the internet, you will always be able to find us, even if other areas of the internet are having problems. You can read about DNS attacks to learn more. Our server IP: 50.97.178.200 - Bookmark us! Why bookmark by IP address? Orders received by 3:00 PM Eastern Time will ship the day the order is received, orders received after 3:00 PM may ship the same day or the following day. We ship by United Parcel Service (UPS). UPS offers various domestic and overseas shipping services. We normally ship Monday through Friday. UPS does not pick up on major holidays. On Christmas Eve and New Years Eve they will only pick up Air shipments. During the Christmas Holiday season for a period of about two weeks UPS does not guarantee delivery of expedited packages due to heavy shipping volume. UPS does not ship to a P.O. Box, only a street address. Therefore, do not enter a P.O. Box number as a shipping address. Domestic shipments may be shipped by the services listed below. When an expedited method is selected such as Next Day Air, 2nd Day Air or 3 Day Select, these methods are referring to business days not calendar days. Business days do not include Saturday and Sunday or holidays. For example, a package that is shipped on Friday by Next Day service will be delivered on Monday, not Saturday. If a holiday falls on a Monday, packages are delivered on Tuesday. Saturday delivery is available in most areas of the US as an extra charge option for Next Day Air Service only. If you order on Friday, your package can be delivered on Saturday by selecting Next Day and add your request for Saturday Delivery in the memo section of the order page. This adds about $10 to the delivery cost. UPS Next Day Air, Next Business Day - Delivery typically by 10:30 a.m.
UPS Next Day Air Saver, Next Business Day - Delivery typically by 3:00 p.m.
Our colloids will be damaged if the liquid freezes completely solid. In order to be able to ship our products during the winter months we must restrict the shipping methods to the faster expedited UPS modes of 3 day, 2 day, and 1 day depending on temperature at the destination. In addition we must pack our products in special Styrofoam shipping containers to help prevent freezing damage. Should ice be found in the bottles, the products will most likely return to normal once the product thaws. If the color returns to normal, then the product is OK. In some very cold states we can only ship by 2 day and 1 day modes. When using the shopping cart to place orders the shipping method will be restricted in the cold states according to the expected low temperatures. In some cases packages cannot be shipped on Thursday or Friday because the packages would freeze in unheated trucks or warehouses over the weekend. So while the shipping is specified as 1 day or 2 day, the package may be held until Monday so that the product is not kept in the cold over the weekend. For this reason, expedited shipping methods will not necessarily arrive according to the normal UPS business day counts. UPS tracking numbers are emailed by UPS to the email address specified on the order page. The emails are sent on the evening of the shipping date. The tracking numbers can be used to track the progress of the package by the next business day. While we ship to many countries of the world, we will not ship to any country in Africa. Customs clearance: Please note that we cannot be held responsible for individual countries' import restrictions. Please check with your customs office beforehand if the import of our products is permitted. Refused packages will be treated as abandoned and we cannot offer any refunds. Please note, in case of loss or damage to packages sent through the regular postal system (USPS etc), we can only give refunds on the carrier's terms. USPS may require up to 90 days for tracing packages and a further 90 days for processing the refund. These products have not been tested or approved by the U.S. Food and Drug Administration. These products are not intended to diagnose, prevent, treat or cure any disease. Purest Colloids, Inc. makes no claims or promises as to health benefits of its dietary/health supplements. All research information is provided as a courtesy to our customers. Consequences of dietary, topical or other use of any product is the sole responsibility of the customer. If you have additional questions please do not hesitate to contact us. 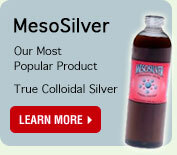 Purest Colloids, Inc has been producing Colloidal Silver products since the late 1990's. - Look here for additional informative articles about Purest Colloids and our products.